2015 - March - How Long Should Red Wine Age? Old School wine drinkers ask this question with the intention of laying down the bottle in a cool, dry place until it’s optimally ready for the table. Well-to-do consumers with a large cellar full of wine of different ages can afford to wait. That’s not everybody, needless to say. Nowadays, most wines are opened within a week or two of purchase. Perhaps a more relevant question might be: “Is this wine ready to drink right now, and if not, how long do I need to wait?” Based on the answer, some purchasers may choose a different bottle for the cart. Finally, after 30 years in the business, I feel bold enough to share some opinions about ageing that would have been imprudent for a newbie. 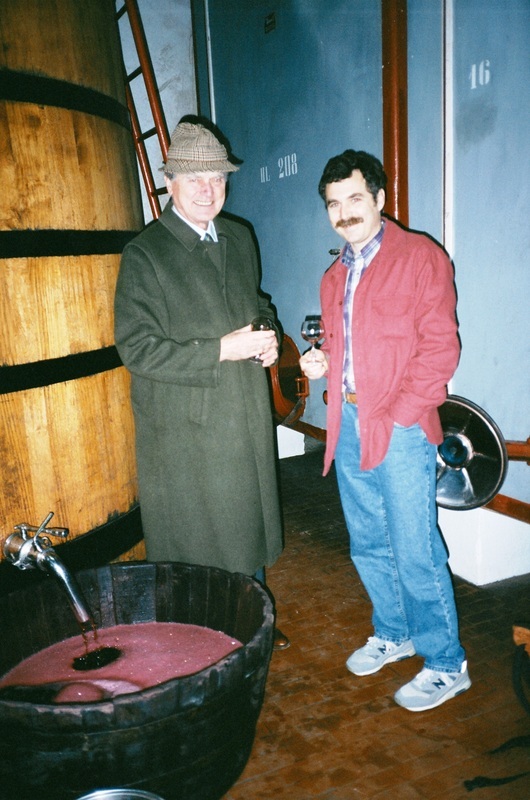 In this article, I’ll describe what’s going on as wine ages, as well as external factors which influence the process. Hopefully, that will help you decide when to rescue a bottle from the dungeon and bring it up to meet the family. At the end, I’ll share some personal opinions about ageing wines made from different popular grapes. It’s going to boil down to a matter of personal preference. Do you like wines for their fresh, fruity character…and don’t mind the astringency of young tannins? Or, do you prefer the silky character of a wine that has aged to the point that tannins have softened…while the fresh fruitiness has given way to more complex aromas that have developed in the bottle? Do you want to split the difference? There is no “right” answer…it’s up to you! To begin, let’s describe two phases of wine ageing: in the barrel, and in the bottle. When a good red wine has finished fermentation, typically after 10 -15 days of bubbling and hissing, the viscous mush is squeezed in a press to separate the future wine from the grape skins, pulp, and seeds. What comes out of the press is a turbid and sometimes still fizzy liquid with an exotic, fruity aroma. This is the frothy elixir that gave Bacchanalian celebrations their mythical reputation. Most wineries allow the billions of suspended yeast and tiny bits of grapes to settle in a closed tank for a week or more. Subsequently, the slightly hazy “newborn” wine is pumped into 60 gallon oak barrels. Smart winemakers keep their barrels topped up to eliminate any air space above the wine, as oxygen can foster chemical reactions that blunt flavors. That’s not the only problem with oxygen. Oxygen also supports the growth of microorganisms which can spoil the wine. The specialized bacteria that convert alcohol into acetic acid (that’s vinegar) require oxygen to do their thing. We definitely need to avoid that! The tail end of the fermentation finishes. Yeast metabolize the last molecules of natural grape sugar into carbon dioxide and alcohol, and then drift to the bottom of the barrel. Uniquely adapted bacteria perform the desultory malo-lactic fermentation, converting natural malic acid to less tart lactic acid, softening the wine while liberating more carbon dioxide. It’s critical that all the fermentations reach completion before bottling, as fizzy red wine is rarely cool in a bottle. Microscopic particulates, called the lees, including the yeast and ML bacteria, continue settling slowly to the bottom of the barrel for many months, ideally leaving the wine clear enough for commercial use without need for filtration. There are some winemaking tricks of the trade for situations when the clarity doesn’t meet expectations. Oak flavors from the barrel staves slowly seep into the wine. This is one of the artistic steps where the winemaker makes a personal statement. Not enough oak…the wine seems to be missing something in the opinion of most consumers. Too much oak, well, wine is supposed to taste like a grape product, not a woodpile, although once again, consumer tastes vary! At Salamandre, I watch oak flavor development like a hawk watches a meadow. Some of the astringent tannins, complex molecules mostly derived from grape skins, gradually attach to each other. As the number of dissolved tannin molecules declines, the wine becomes less bitter and “puckery." There’s yet another wonderful twist. When two tannins molecules bond together, a truly organic chemical reaction, oxygen is trapped and removed from the wine. Those 4 barrel “tasks” typically take 12 to perhaps 24 months for red wines. Then the wine is ready for bottling. Bottling itself can be hard on wine…all that pumping, splashing, corking, stacking, and transporting…and it needs to “rest” for a while. After bottling, wine continues to change slowly…a really good thing for quite a while, but not forever. TThe tannin molecules continue to clump together, further reducing the astringency of the wine while continuing to protect the wine from excess oxygen. At some point, the tannins will be almost gone, by which time the wine will lose some of the subtle bitterness that makes it magical with food. As the protection from oxidation also wanes, the wine starts losing fruit character at an accelerated rate. Eventually, it becomes a pale shadow of its former self…and that means you waited too long to extract that cork! 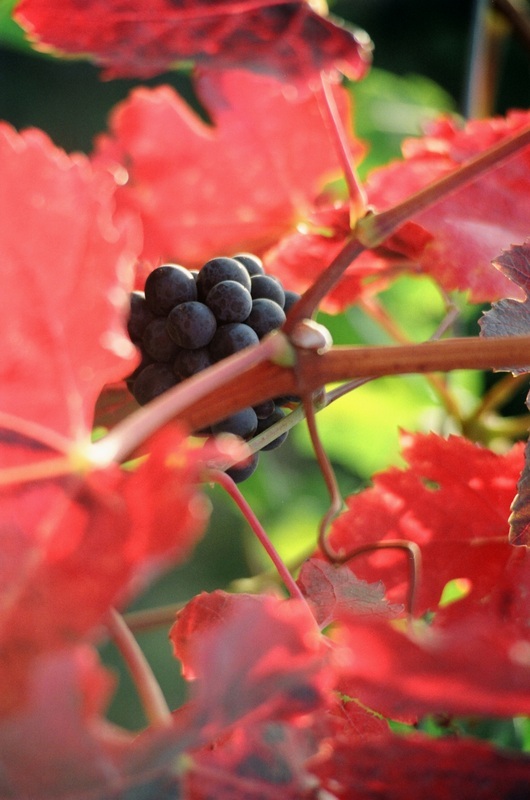 The red color of wine comes from anthocyanins…more molecules in the large family of tannins. The anthocyanins are also slowly oxidized, and in that process, they change color subtly. Wines may be deep, dense purple when very young, slowly trending toward “burgundy” and eventually acquiring a brick red color. The wines lose some of the optical density as well…more light comes through. Some of the natural, aromatic compounds from the ripe grapes (esters, for the biochemists) gradually oxidize into other compounds…creating aromas which aren’t found in the grapes directly, but can be beloved to many wine drinkers. The industry term for these new aromas is “bottle bouquet.” Some of the distinctive aromas that characterize some varietals, let’s say Cabernet, Zinfandel, or Pinot Noir, may be subdued with overlong aging. Some older wines can be embarrassingly hard to distinguish by variety! Tartaric acid, a natural grape acid responsible for the tang of balanced wine, can sometimes form crystals and drop out of solution. These are the tiny, shiny crystals you may see adhering to the cork. They are NOT sugar and NOT glass! They’re perfectly safe…and part of the grand scheme! Every home baker who uses cream of tartar uses these crystals to make muffins, pancakes, and waffles rise. Some of the tannins, once clumped together, may also drift to the lower parts of the bottle, typically forming small, dark flakes. Many aged reds which were quite tannic when young (Cabernet, Zinfandel, & Syrah, for example) will drop these “dregs.” Experienced wine servers keep an older bottle upright and still for a day or so to allow the dregs to sink to the bottom. They’ll pour the wine gently into a decanter or carefully into glasses in order to keep those flakes from burbling into the last glass. 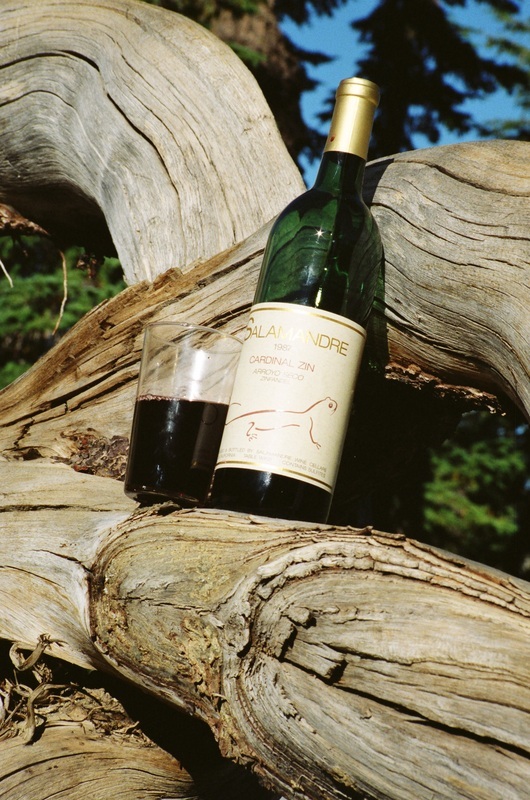 Have you noticed the “shoulder” on the classic claret bottle? That was designed to catch the little flakes in the last ounce. Bottom line: the dregs are completely harmless, but it’s aesthetically distracting to see gunge in your glass. This could be simplistic, but it seems to work. Phase 1: Cradle Robbing. Opening a really tannic wine too young will deprive you of the full flavor development while challenging you with overly puckery tannins. If this were an expensive bottle…Ouch! Phase 2: Getting There. When the tannins soften, and the natural fruit aromas are still there, and the bottle bouquet is emerging…this is the time! Phase 3: The Plateau. Once wines have “gotten there,” they tend to coast for at least several years of prime time. They probably aren’t changing as much year to year as they did when very young, but they still have enough tannins to protect the wine and enough fruit to make dinners spring to liveliness. 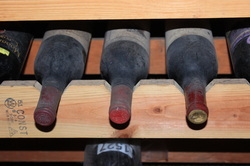 For some wines, like Cabernets for example, the plateau can last 5-10 years. For lighter, more delicate wines, including most Pinots, your window is narrower. Phase 4: Over the Hill. Once wines have lost their tannins and their fruit, they simply aren’t that interesting any more. Superannuated bottles are more interesting as conversation fodder than wine-and-food matching. It’s like turning on a TV to watch a baseball game 5 hours after it started…you’re going to miss the action almost for certain. 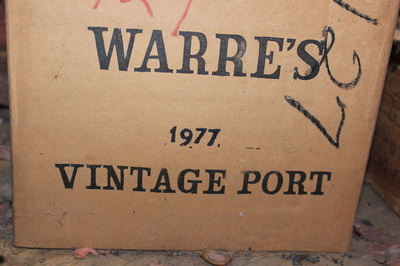 The exception, of course, is vintage Port. There are collectors who store thousands of bottles for investment purposes, rather than sharing with friends and family. The decline of older wines isn’t relevant to that endeavor, and this article wasn’t written for them. To each his own, go in peace. Acid Levels: Wines with good acid “backbones” stay “bright” and age longer than wines with deficient acid levels (chemically, that means high pH). High pH wines can go over the hill much too soon, becoming “plain,” meaning losing distinctive flavors and maybe turning a prematurely dull color. That’s just sad. Sometimes it takes some probing to find out about acid balance in a specific wine, but most wineries will be happy to tell you. Storage: Chemical reactions, the natural organic ones as well as the “laboratory” style experiments, go faster the warmer they are. Wine is no exception! 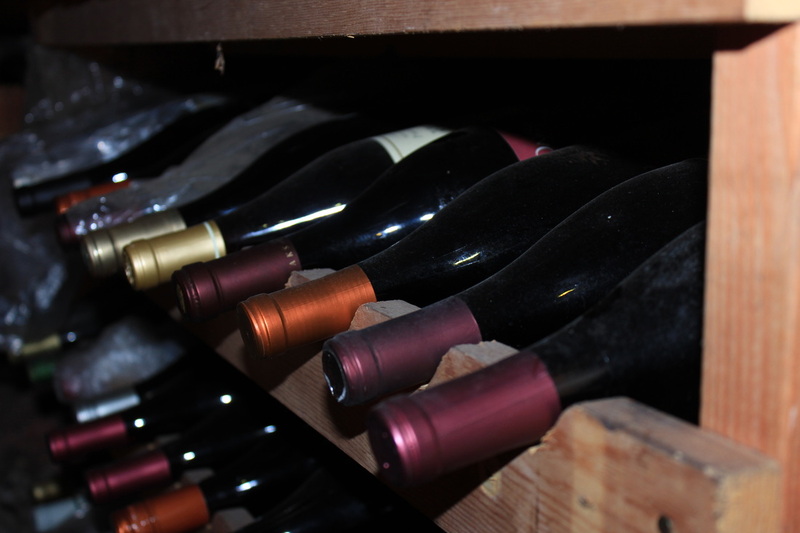 Wine stored at residential house temperature of 68-72 degrees F will age faster than wine stored in the basement or crawl space at 60 degrees. Closets under the stairs aren’t bad! 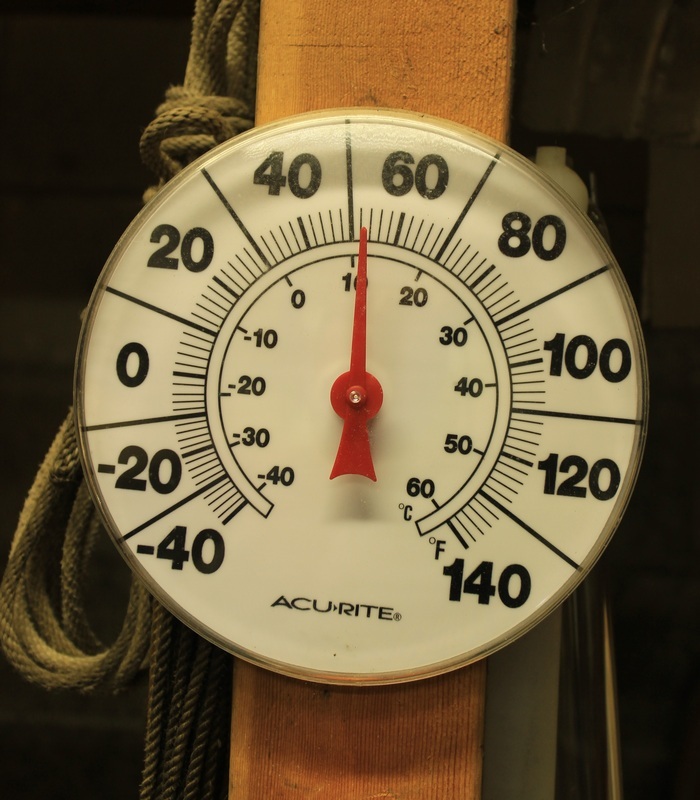 Most winery cellars and warehouses are kept around 55 degrees…even in the Napa Valley in mid-July. Never store wine on top of the refrigerator, because the heat generated by the compressor makes that paradoxically one of the warmest spots in your house! Regardless of the average temperature, frequent temperature changes definitely tweak the wine. So keeping it in the garage or underneath a window is usually a bad idea. If you live in a place where you simply can’t store it ideally, the commercial wine refrigerators are smart for those really special, expensive bottles you want to keep for a big anniversary or a birthday. No need to worry about wines you’re going to drink in a matter of months. Transportation. A few hours in the back seat of a locked car in a California parking lot in the summer can really wreak havoc on wine…especially the older, more delicate ones! If you’re driving in the summertime, keep it in the car and not in the trunk! It’s clever to wrap it in a towel, a fleece or down jacket, or bubble wrap. If you have no choice but to leave in a hot vehicle, put it in a cooler, brace it so it doesn’t rattle around, and drink it when you reach your destination. Corks. Corks don’t last forever, even the ultra-premium ones you’ll find plugged into really expensive bottles designed for extensive age. They will eventually degrade and allow leakage, which also means oxygen will get into the vacated space…and that will destroy your prize. My rule—don’t trust any cork over the age of 20! Periodically check the necks of your special bottles for leakage, and put the ones you discover out of their distress ASAP! You have to accept that some inventory loss is just going to happen if you keep wines a long time. Wine is not remotely as precious as friendship. Best solution to avoid Going Over the Hill? If you’re buying a “serious” wine and want to save it for a special occasion…buy two. C’mon…I sell wine, so you’d expect me to say something like this, but I do this myself, too. Open one bottle when you think you’ve reached the early plateau stage (see some hints by varietal below). I guarantee you won’t be disappointed. If it seems like it could use a few more years of softening, make a note and open the second one then. Now, I promised some personal opinions about ageing potential for different varietals. I’ll admit that I cherish the fruit aromas of younger wines more than the refined velvet of long-aged reds. My recommendations may trend towards the “sooner rather than later” choices, and you may see it differently. 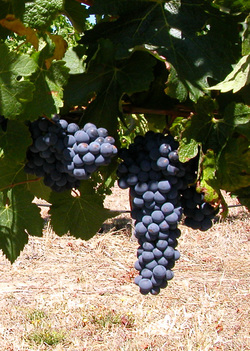 Cabernet Sauvignon. Cab is a powerhouse tannin variety. While an increasing number of Cabs are being intentionally crafted to be palatable at only 2 or 3 years of age, especially to cater to the affordable restaurant business, most traditional ones require at least 5 years from harvest to soften enough for the table. In my view, few actually improve after 10 years. They’ve reached the plateau stage by then. There are some scarce and marvelous long-developing exceptions, but those are universally very expensive! Optimum age: 7-10 years. 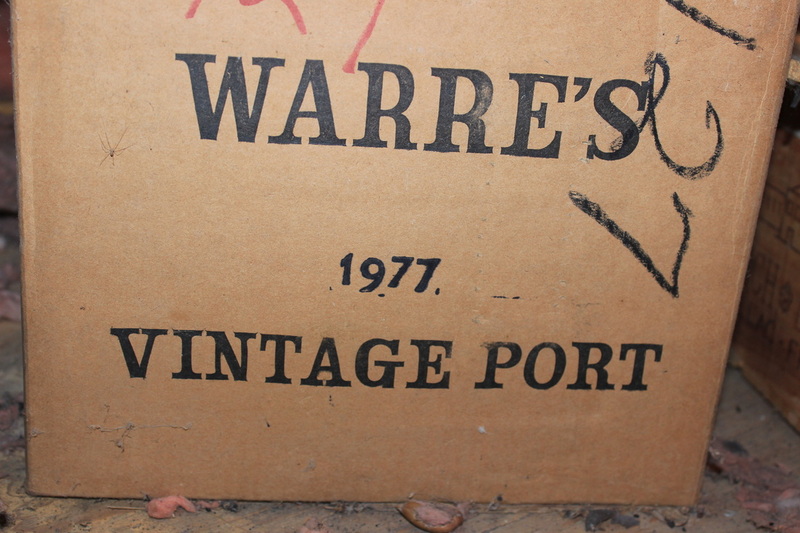 Maybe longer if you really know the winery and have some personal history to guide you. Pinot Noir. Pinots have less tannins and lighter color than Cabs, and they may open up for excellent drinking in as little as 3 years. Pinots do, however, seem to go through an extended identity crisis as adolescents in their bottles. Patience will be rewarded with a more integrated wine to delight the people who share your table. Unless they are truly pallid and frail at the outset, I Iike Pinots best at 5-8 years of age. Zinfandel (and Primitivo). Zinfandel vines produce tannins in a highly variable fashion, depending upon the soils, heat, moisture, how much tonnage the vines were allowed to carry, and the maturity of the grapes at harvest. Some lighter, fruity Zins are really a lot of fun at even 2-3 years of age. I like the heavier-styled ones a bit older…4 - 8 years. Some of the “big ones” can have a long plateau, and I am enjoying several of our own Primitivos at age 15. Merlot and Malbec. I would say “ditto” to the Zin comments above. Lots of variability, but don’t let them over-age. Syrah. When grown in warmer climates, Syrahs age more like Cabs. It’s rare for one to improve after 10 years, but waiting 6-9 is worth it if you can restrain yourself. Petite Sirah. OK, “Petite” is really a misnomer. This burly wine is close to black when young and it’s hard to notice much change even in 10 years. Fifty shades of black? I love the fruit and the black pepper quality, so I would tend to treat these like the Zin recommendation and just accept the fact that the wine is going to have bracing tannins. Serve it with a meal that can stand up to that! Slow simmered tomato sauce, garlic, capers, basil, kalamatas, anchovies, and porcini…maybe with some balsamic…you’ve met your match! Dr. Franco Biondi-Santi in 1994. His Brunello di Montalcino is one of the rare wines in the world that truly will age for 30, 40, even 50 years from great vintages. Some of the Barolos and Premier Grand Cru Bordeaux from charmed years will, too. However, in sum, those wines account for perhaps 0.1% of the red wines in the world.